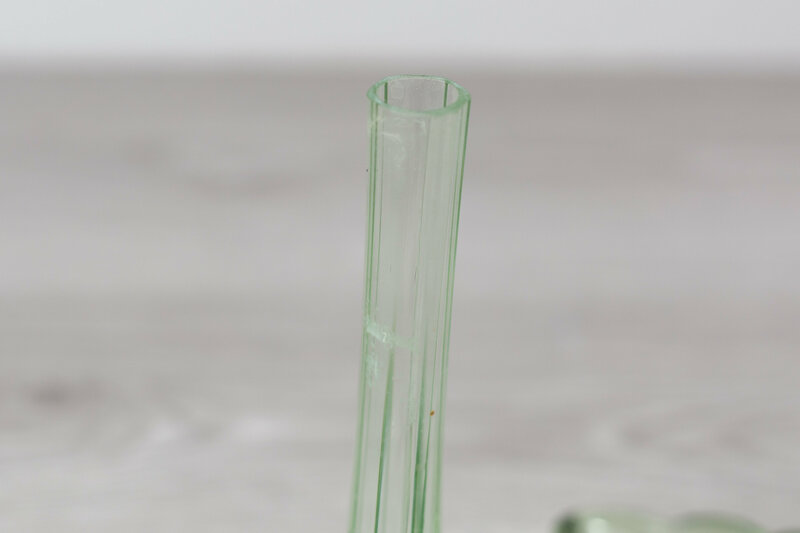 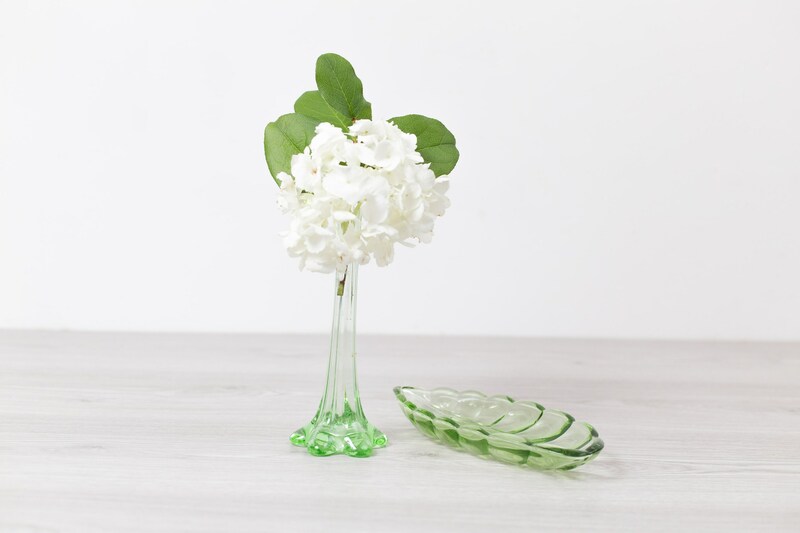 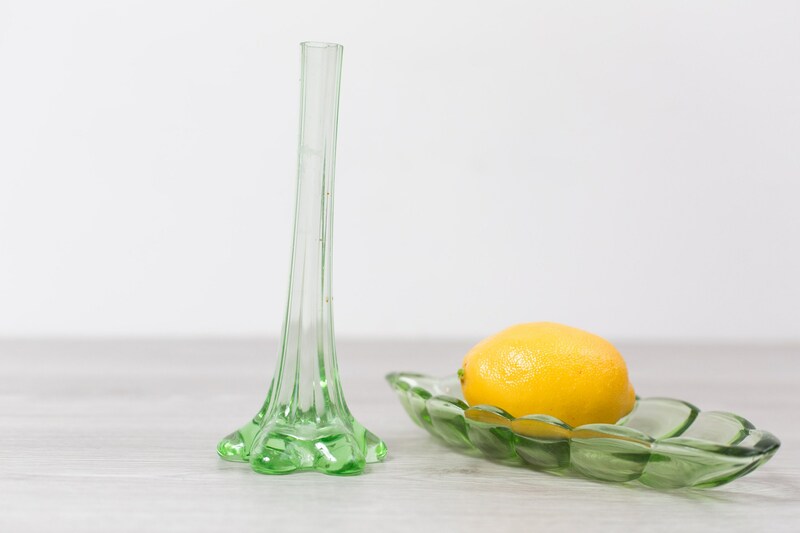 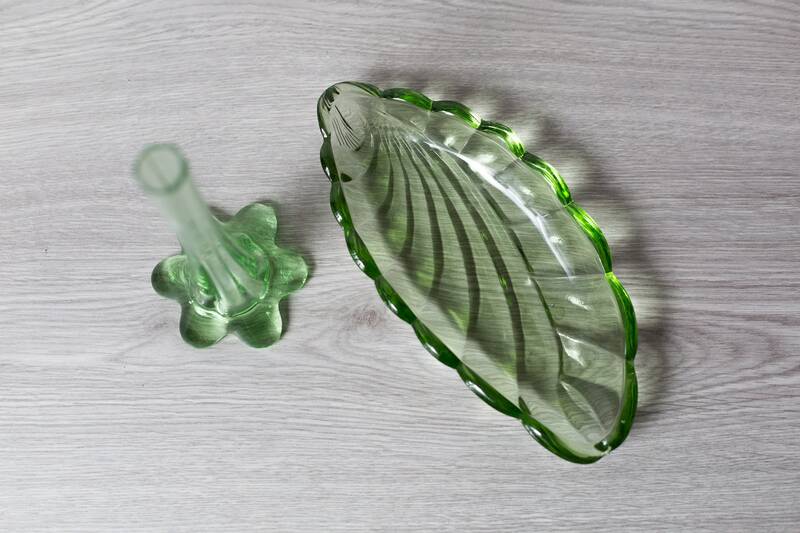 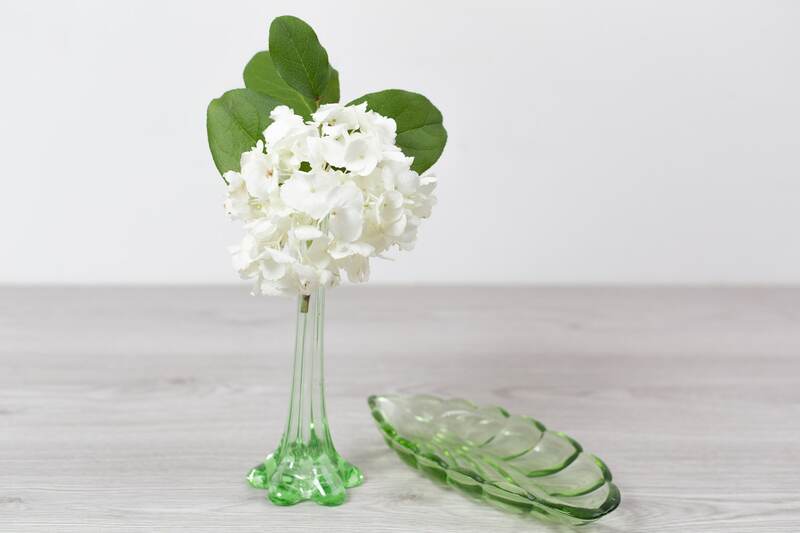 This is a fabulous pair of vintage green glass decor items. 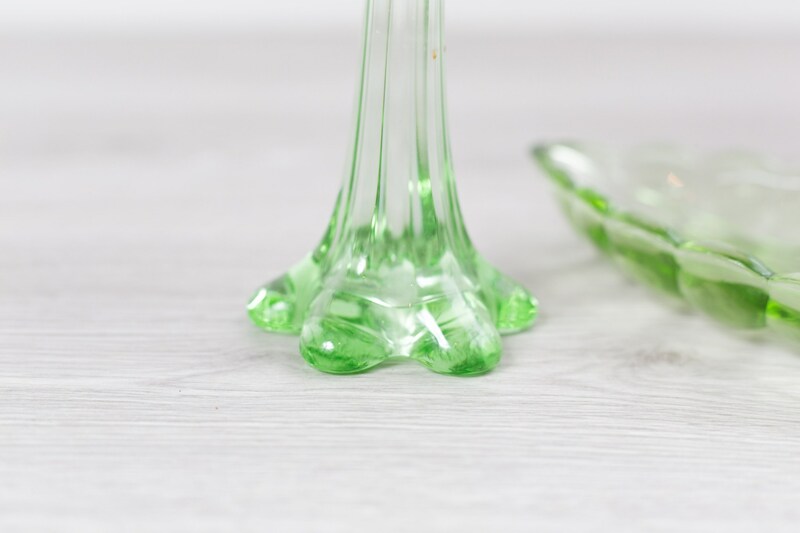 It is NOT uranium / vaseline glass. 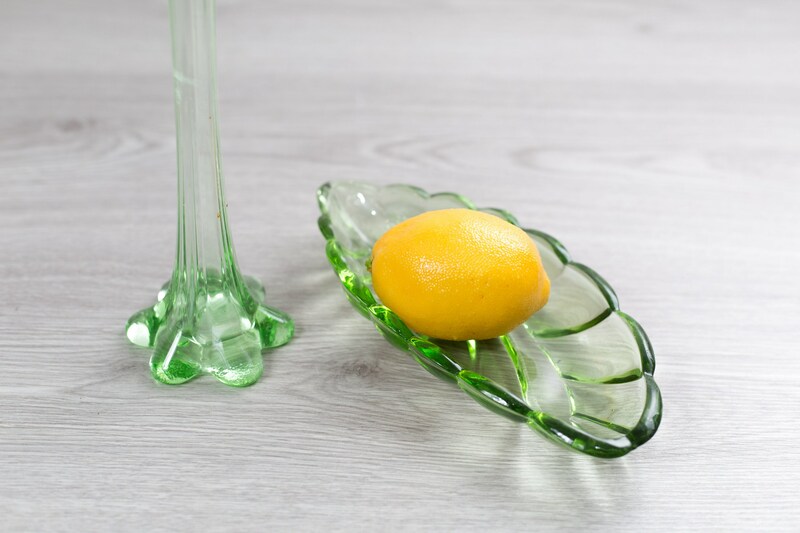 Ideal accent pieces to any home decor. 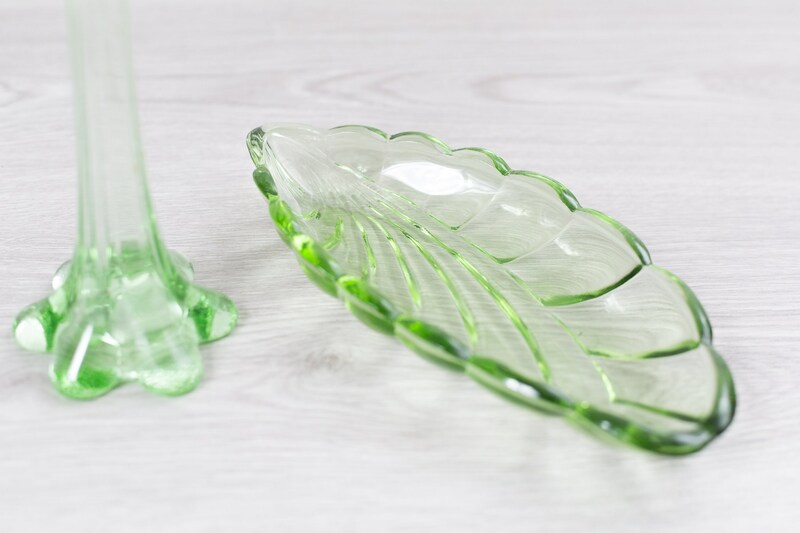 Dish: 9.5 x 4.5 inches.